Mexico City There’s one area of foreign travel that is an absolute horror, and that’s the visa process. Of course, that’s not a problem for Americans going to countries in the European Union as well as some other areas where we have agreements and understandings, but once you move outside of that bubble, please be ready for hair-on-fire anger and frustration. Don’t misunderstand me. I understand why countries want travelers, whether on business or just visiting, to properly register. It’s important to know who is coming in and out of a country for a host of good reasons, and I’m ready to do my part. I have a theory for why the process has become so impossible in so many countries. To put the best possible spin on the issue, it’s privatization. To put it more realistically might entail some serious investigation over who is paying whom and whether anyone in some governments has their eye on the ball anymore. Once upon a time in the 20th century for example, the visa process was straightforward for most countries. You either got yourself to an embassy or consular office or you dutifully tried to follow the directions and expressed your passport, pictures, and whatever else to the embassy’s main office in Washington, Ottawa or wherever. It wasn’t a great experience, and for frequent travelers there were anxious moments in trying to get passports returned, but usually if you paid for the express deliveries, you were alright. And, if you were really worried, then you could hire an expediting agency that for another sum would walk it over to the embassy and make sure you got it back. Moving to online visa applications meant that most countries subcontracted the process, meaning a detailed application and then scanning your passport and picture to the private agency, and then waiting. Good luck with that. When in Paraguay, the Organizers’ Forum had proposed a field trip to the Iguazu Falls. It’s complicated but to get there from Paraguay, you pass through Argentina and need a visa to do so if you want to make sure you get to Brazil. It’s an online process through a contractor. One of our people was never able to get them to accept his credit card. In my case, they kept refusing my pictures based on the number of pixels involved, even after I had the pictures taken at both the US Post Office and Federal Express at the correct level. Finally, I ran out of time and money, and abandoned all hope. Two of our folks made it through the process, one with an agency and one through pure luck. In the on-line visa process to Uganda, it was much the same experience, except to their credit, when they rejected you, they told you why, and, miracles never cease, they responded to emails promptly and told me exactly the problems, so it could be fixed. There was a scary moment when they finally approved the visa and then sent a message that there was a backlog and it might be weeks before I received it. A panic email from me to some real person on the other side of the interweb that I was leaving in a week was well received and without comment I got it by email the same day. In Kenya, there was a choice of at the airport or online. My colleague went online and endured the usual problems, and received the visa the night he was leaving. At the airport, it was easy as it could be, as opposed to Paraguay where twenty-dollar bills are not as perfect as banks would like. On the other hand, United Airlines sent panic-pedaling alerts to visitors coming to Mexico to go through the on-line process to prevent delays. It wasn’t that difficult, but it was totally unnecessary. The process in Mexico City couldn’t have been easier. They actually refused the on-line visa applications making us fill out something there, but either way in 40-minutes after arrival, we were in a cab to the city. Beat that, if you can! When the BJP and Prime Minister Modi took power in India, almost immediately they privatized the process, where embassy staff had handled it perfectly in the past. I was caught having to renew my 10-year visa and didn’t realize it. First, I had my paperwork delivered to the Indian consular office in Houston, as I had done in the past. There we were told to take it over to the private contractor’s office in Houston. They then misplaced it for almost a month, and then told me, “it was not approved, but I could reapply.” I called them. They could give me no reasons. They suggested that I try the e-visa process for a short term rather than the 10-year renewal. Same result. I called Delhi, they could see no problem, “but I could reapply.” Is it politics or incompetence? I’ll never know, so every year I try again, and I’ll do so in 2019 as well. 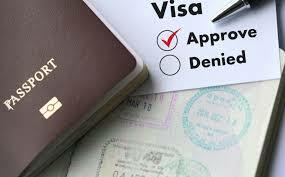 The internet and e-visa process has not been friendly to travelers. Hopefully, it will get better, but for now, it’s a nightmare.